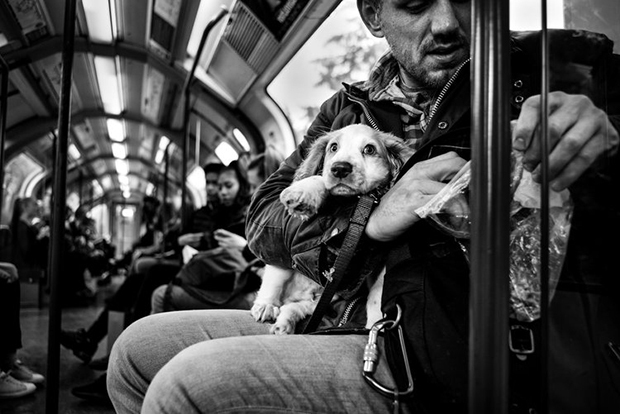 London street photographer Alan Schaller looks for special dogs the way he looks for special people. It’s the “cheeky” ones, the “lonely” ones, the “shy” ones who stop him in his tracks. There are, of course, some differences. 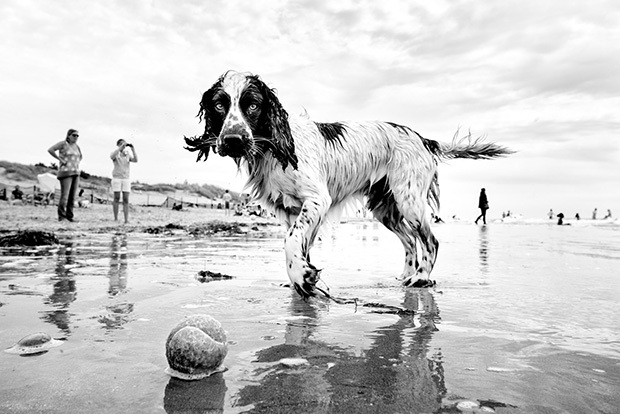 “I find dogs are in general more consistently friendly, unpredictable, and amusing than humans,” the artist admitted. If the dog in question has a home and an owner, Schaller might permission before taking a picture, depending on the circumstances. 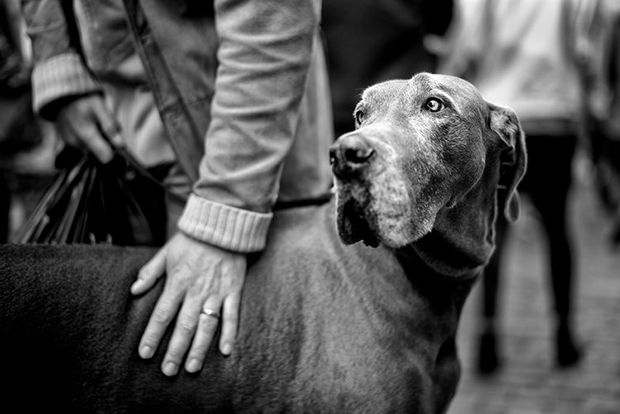 If the answer is “yes” from the human, he moves onto gaining the trust of the dog. 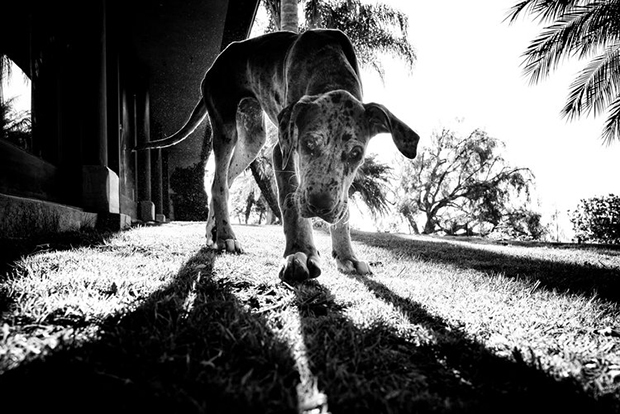 In the case of stray animals, Schaller makes sure the dog isn’t injured or sick. He won’t disturb them if they are suffering mentally or physically. Interactions with especially vulnerable animals should be left to professionals who can offer them proper care. In most situations, Schaller bends down so that he and the dog are on equal ground. 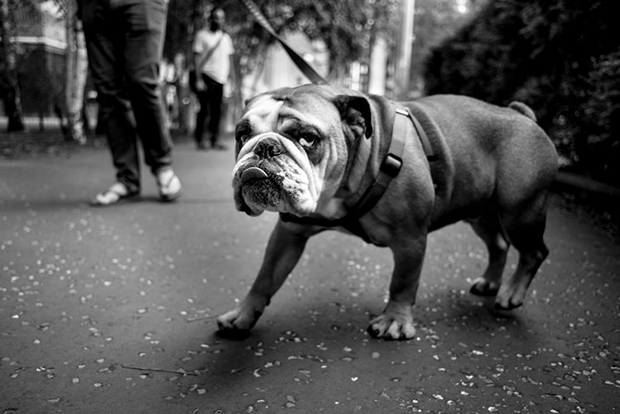 Some animals take a moment to get familiar with the camera and Schaller’s wide angle lens, but he usually only takes a few snaps. 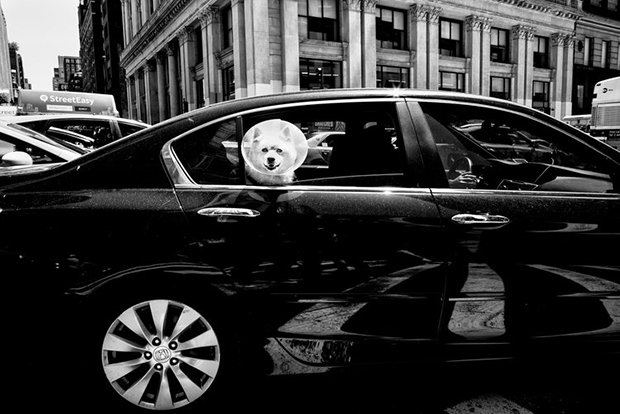 “Almost every dog I have photographed, unless the scenario has been tragic, has made me laugh at some point when meeting it,” Schaller continued. During his trip, he gave her all three. 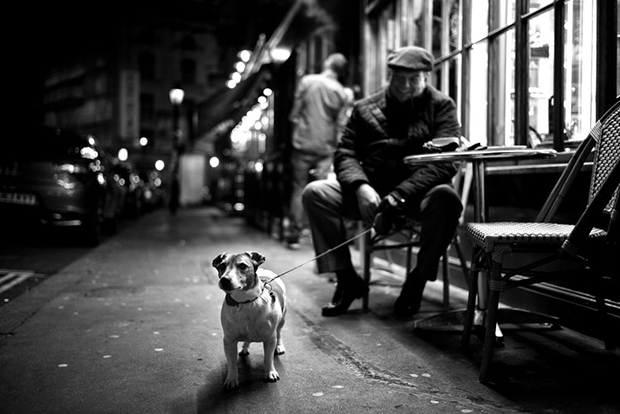 She spent nights outside his hotel, met him every morning, and followed close behind him as he went about his day. Unfortunately, there are about 30 million homeless dogs like this one in India. “They were very much alone,” Schaller said. Some he met were ill or injured. 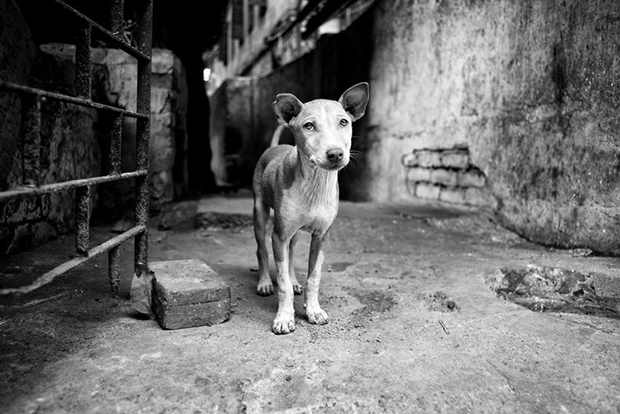 Two years ago, there were reports of stray dogs being shot and killed in a village in Kerala. Their bodies were discarded in the ocean. 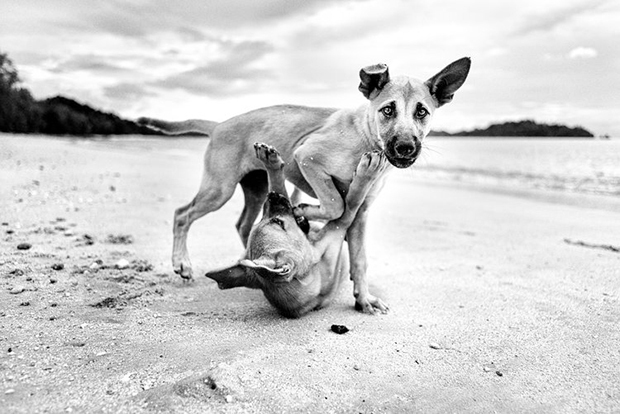 The comparison between Schaller’s Dogs and Elliot Erwitt’s DogsDogs seems inevitable. 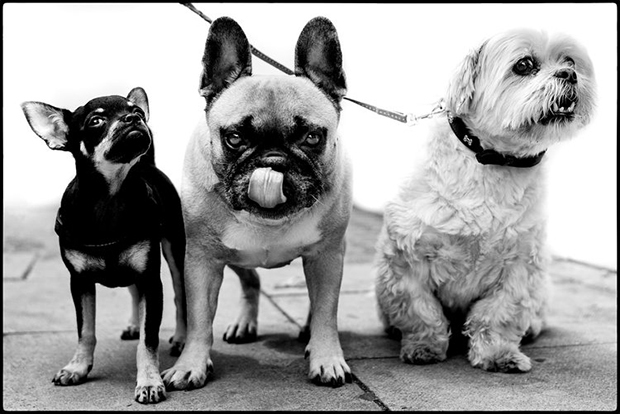 Some have called Erwitt’s work sentimental, but I’ve always disagreed. They are honest— sometimes funny, sometimes smarting. Like dogs themselves, the pictures follow you long after you turn the page. 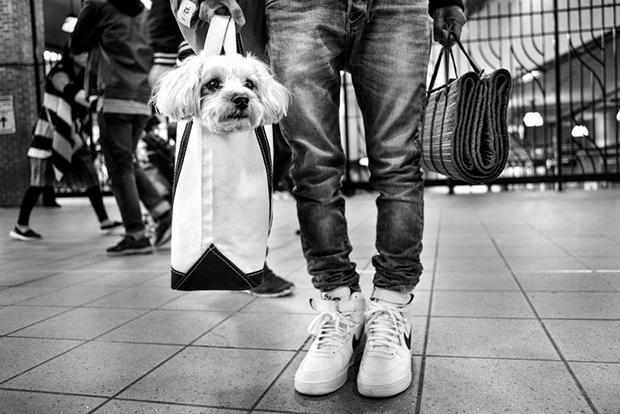 Erwitt famously wrote of his own work, “This is not a book of dog pictures but of dogs in pictures,” and certainly the same applies to Schaller’s work. 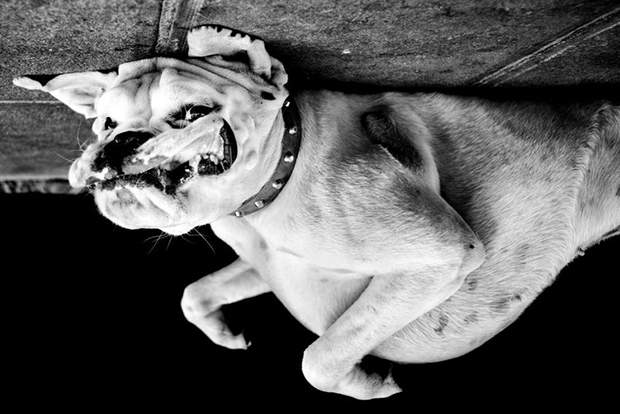 If you’d like to help dogs in need, Schaller recommends supporting the RSPCA. You can find adoptable animals here or make a donation here.